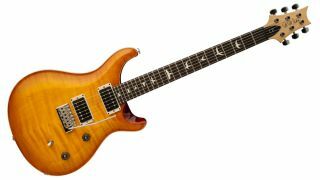 NAMM 2016: Despite being one of its best-loved models, PRS discontinued the CE 24 back in 2009, but the Maryland guitar giant is bringing the bolt-on beauty back for 2016. Pairing features from the S2 and Core-line models (and a price point to match), the CE 24 delivers a Pattern Thin bolt-on neck and a satin nitro-finished maple top on mahogany body. Pickup-wise, a pair of PRS 85/15 humbuckers paired with a push/pull tone control and three-way toggle offers six total sounds.